William D. Maddux received his Bachelor of Arts in 1957 from the University of Notre Dame, South Bend, Indiana. He continued his education at the Georgetown University Law Center, Washington D.C., where he earned his Juris Doctorate in 1959. 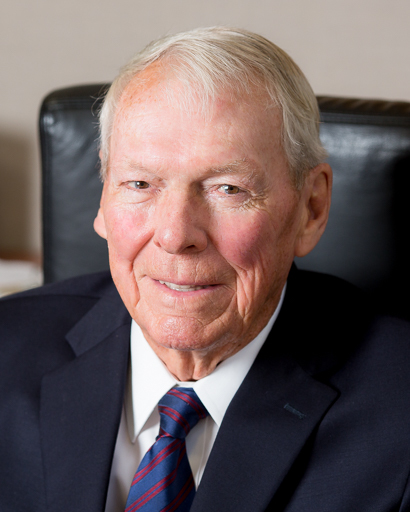 He began his legal career in 1960 with the firm of Kirkland & Ellis, where he eventually became a partner. In 1975, he started his own firm, “William D. Maddux Ltd.” (now “Johnson & Bell”), and in 1979 he practiced as “William D. Maddux & Associates” (now “Kralovec, Jambois & Schwartz”). In 1991, he was appointed to the Circuit Court of Cook County. From October 2001 until his retirement on January 11, 2014, he served as the Presiding Judge of the Law Division in the Circuit Court of Cook County. In that capacity, he supervised nearly sixty judges in the Law Division. He is a member of the American College of Trial Lawyers, Society of Trial Lawyers, American Bar Association, Illinois State Bar Association, and the Chicago Bar Association. Following his retirement from the Circuit Court Maddux has joined Kralovec, Jambois & Schwartz in an of Counsel capacity. He is also a Trustee of the Bondex Asbestos Trust.